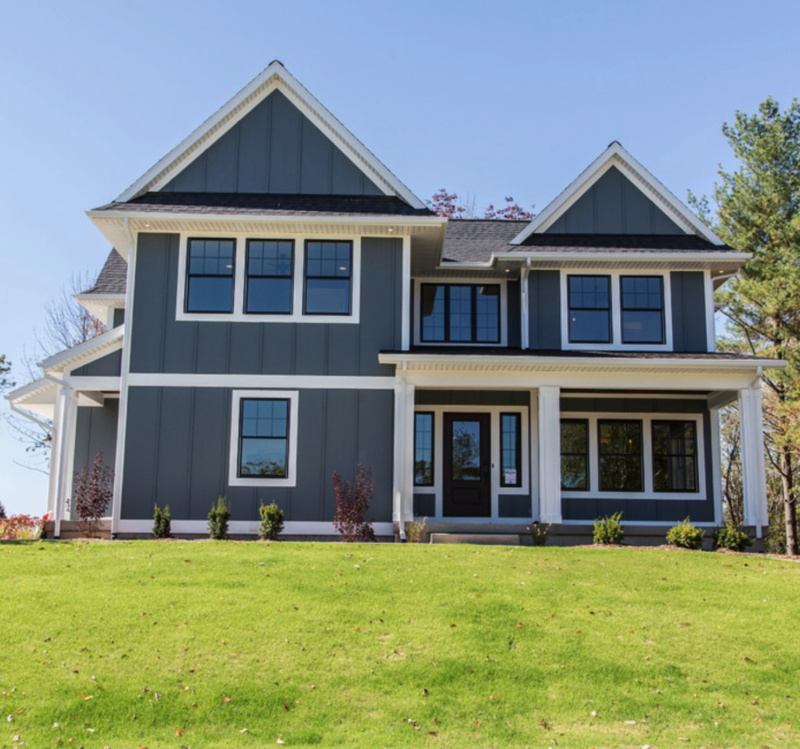 One of the first things we had to decide when building our dream home (after floor plans, of course) is our exterior colors and materials. 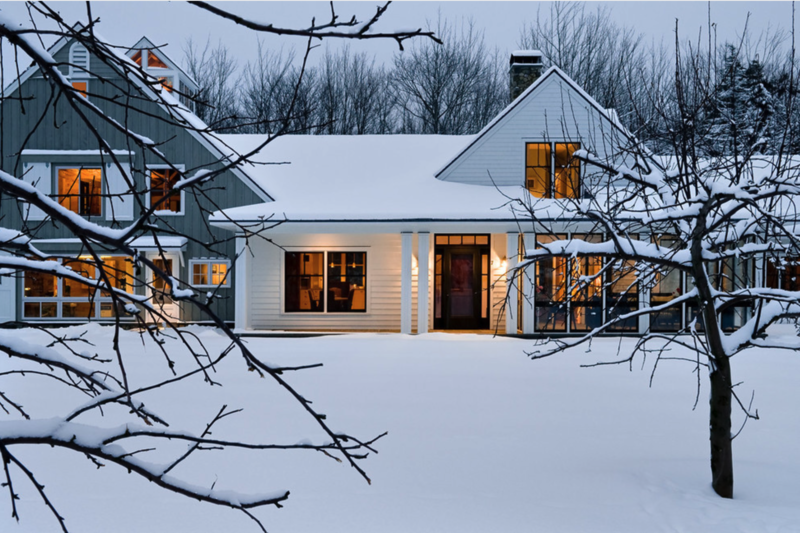 G and I had already spent the past year dreaming about our “dream home” exterior so this was actually a relatively easy decision for us – surprisingly we were on the same page! I say “surprisingly” because G tends to lean toward tried and true traditional, whereas I typically operate on a wavelength one or two steps removed from the norm. Luckily, this hasn’t been an issue for us over the past 15 years of living together because #1.) G believes I have great taste and have never steered him wrong, and #2.) He’s colorblind. As much as G was all “whatever you choose will be great” I really pushed for his input on this part of the process. 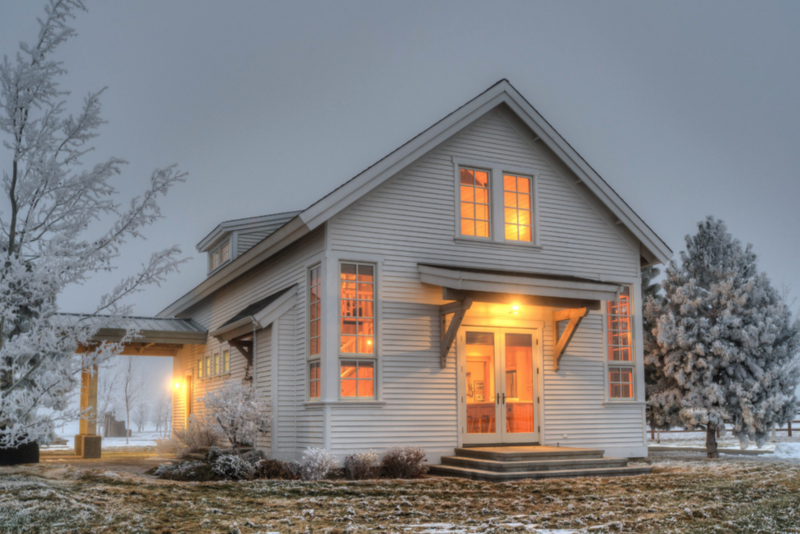 I had a few opinions on how our new house should look from the outside, but I wasn’t totally married to any of them, so this was an area where G could easily chime in and sway me. I’ve always cared more about how a house looks on the inside, whereas G’s always been more of an outside kind of guy, so I really wanted him to be happy with the exterior. 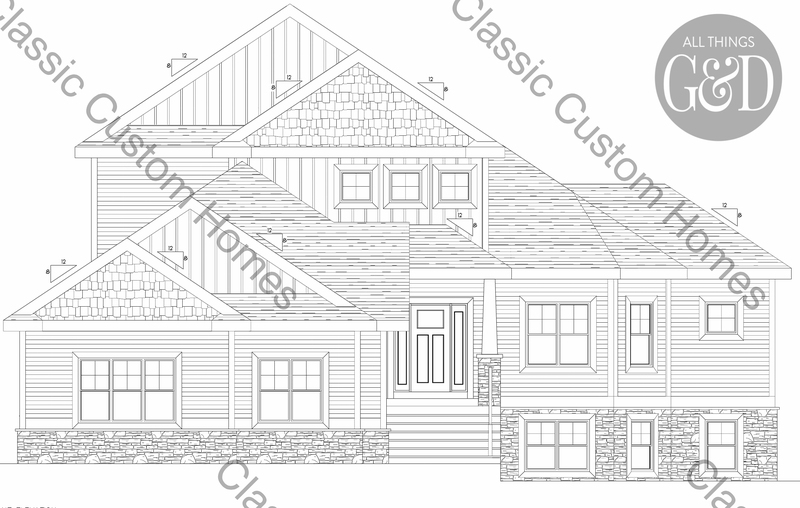 Our original sketch by Brandon Ripp – our architectural designer extraordinaire with Classic Custom Homes of Waunakee – had the front exterior of our home drawn up to look like the photo below, which was an incredibly helpful starting off point for us. 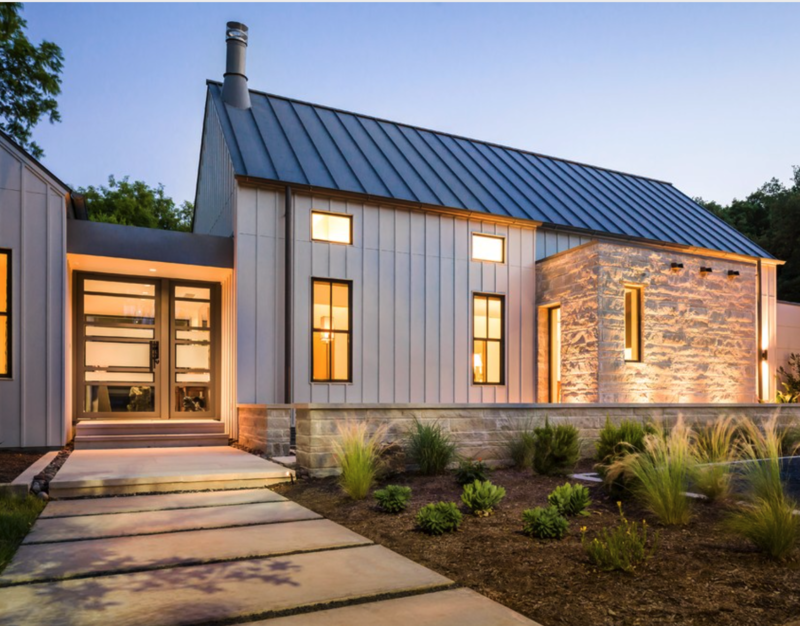 I’d been showing exterior inspiration photos to G ever since our first thought that we might build, and here are some of the general looks, colors and materials we considered. 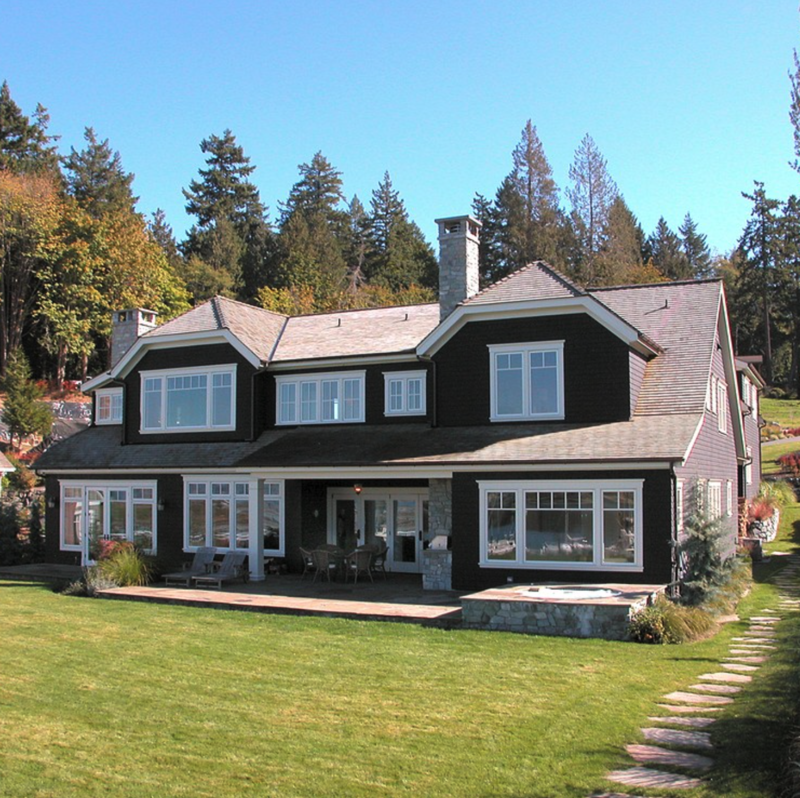 G really liked the gray tones, but wasn’t sure about black windows – although we both agreed we really liked more of that bold contrast look – so next I started showing him houses with black siding and white windows. To my insane surprise, G actually really liked this bold look (which, of course, I loved)! Black siding – who would have thought?! 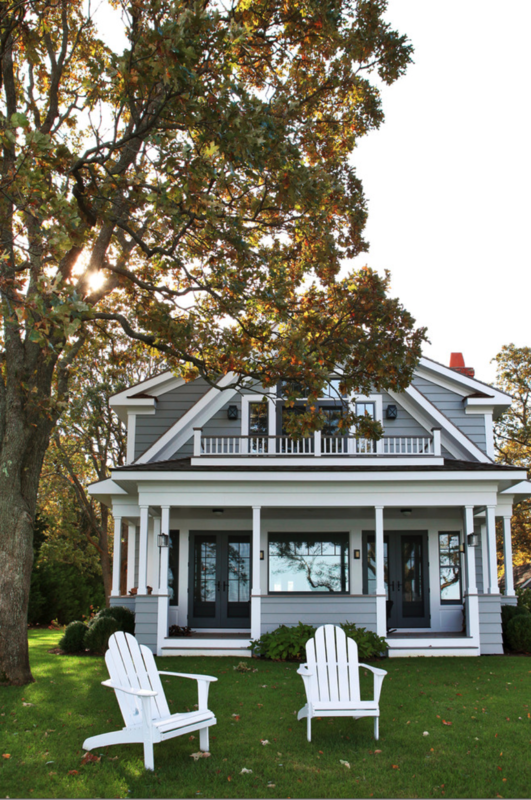 Seriously, you guys – this house belongs on a postcard. 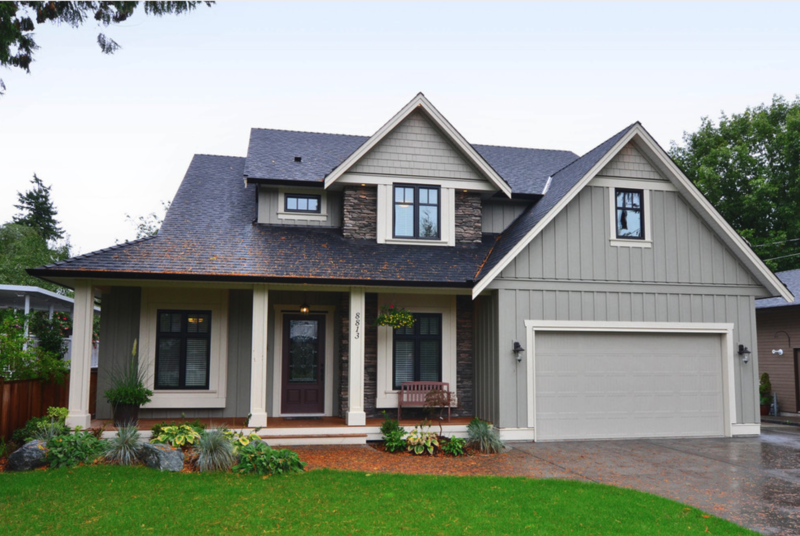 So what do you think we went with for exterior colors – any guesses? 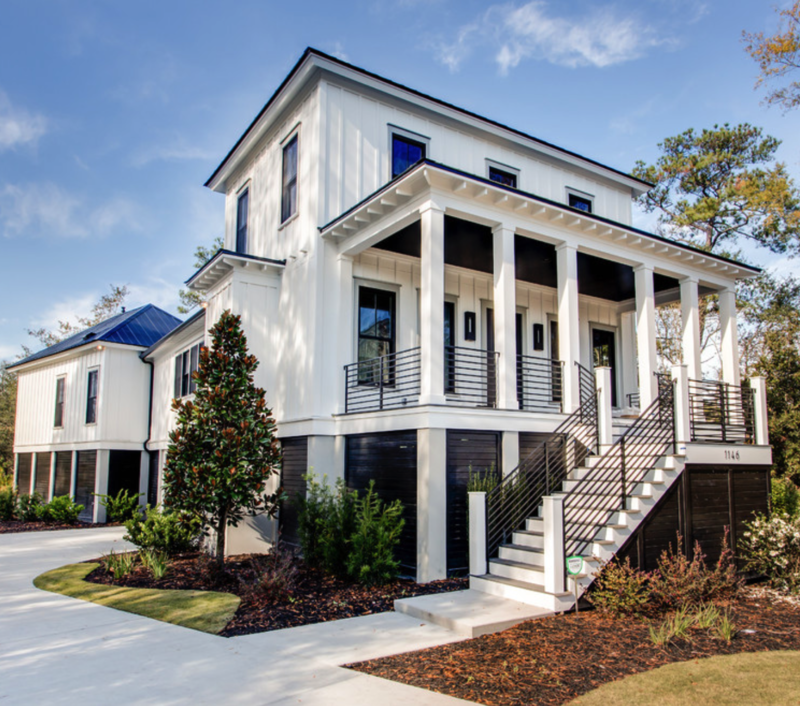 Join All Things G&D on social media to follow along on our custom home building process! 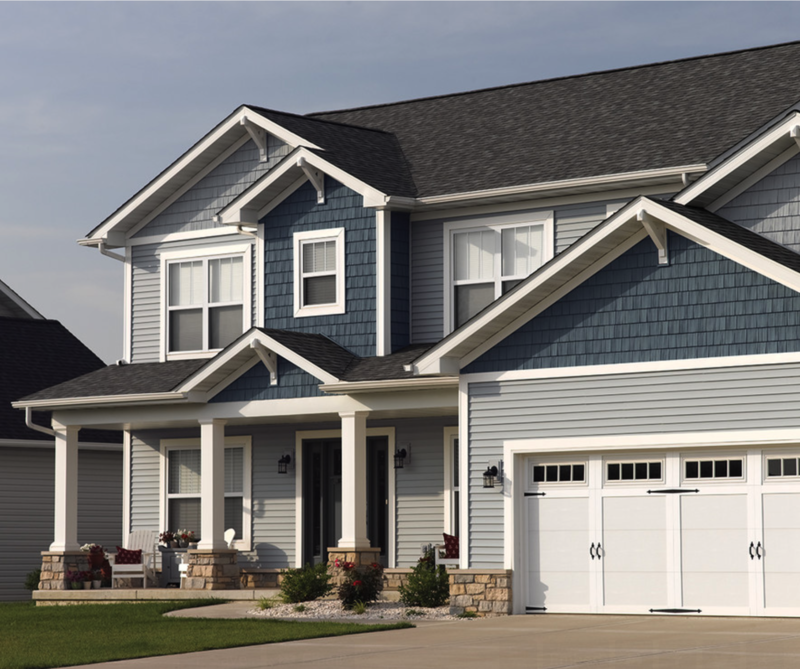 We built in subdivision where 95% of the homes are what my husband likes to call “retirement beige.” Our first color choice was a deep grey, but then I fell in love with a deep blue color called pacific blue for our siding and was surprised my husband went along with it . 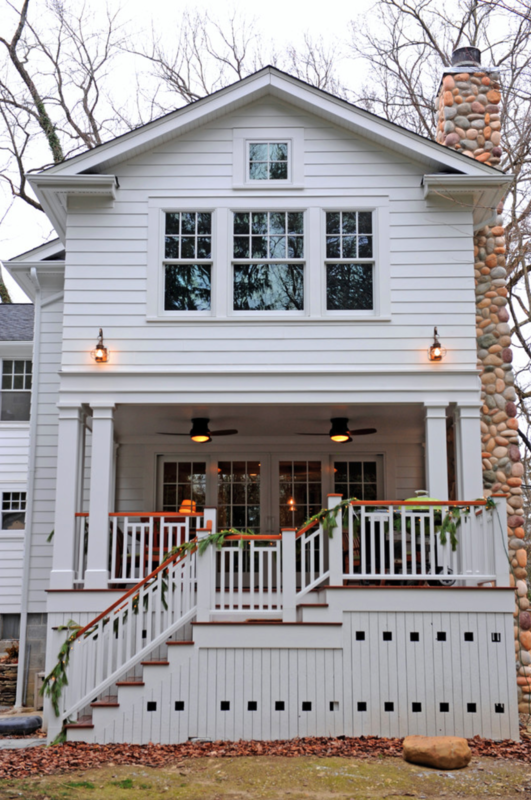 We did thick contrasting white trim on the windows and wood front and garage doors. I think it is stunning. We stick out like a sore thumb in our neighborhood, but in a good way:) We constantly get compliments about the bold color choice. That sounds so beautiful, Carmen! I lol’d at “retirement beige” – I know exactly what you mean! Our last house might’ve qualified for AARP so now I’m ready to steer clear of beiges and go for something new. I love that you went with such a bold choice! As soon as I opened this post I had my fingers crossed for bold black. It’s brave, but I am still hoping you go for it! If not, white is a no-fail, can’t go wrong classic. If you go that route, I am rooting for black windows. I am following along, thanks for sharing. Thank you so much, Carrie! I love how you sound as excited about our exterior as we are – thank you so much for following along! I never would have considered a black house, but I really like it in your inspiration pictures! One piece of advice — we resided our home in 2010 with white siding, black shutters, and a bright red front door. 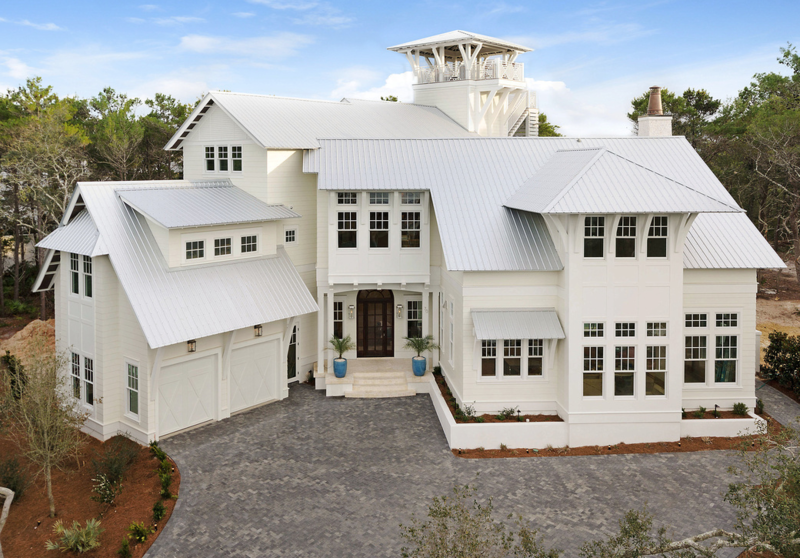 While I love the color combination, the white siding does get d-i-r-t-y. I wasn’t expecting splatter from the rain on the mulch, or what I can only presume is bug poop, or the spiderwebs to show up so much. So if you’re ok with powerwashing your house a few times a year, you’re golden. Otherwise, keep that in mind if you’re considering white. Thank you so much for your feedback, Julie – I really appreciate it!! So many great options! My favorite is the first picture- it looks straight out of a Nancy Meyers movie. I’m not a risk taker when it comes to design, so I align with the “safe” choices, but that house with black on top and white on the bottom is so unexpected and unique. I’m not really a fan of the all white, unless that’s what you chose, then I take it back;) Can’t wait to see what you two picked. LOL at your take-back, Alison! You crack me up. Isn’t that black & white house so gorgeous? I’m obsessed with it!